Hire the best Personal Injury Lawyer in Toronto! Accidents happen, and even when you take the appropriate precautions, they cannot always be avoided. Of course, the most common accidents happen on the road. There are just too many factors that can lead to an accident whether it be on the road, on somebody else’s property or even in a hospital. These accidents can cripple a person for life, leaving you and your loved ones impaired and frightened facing an uncertain future. Due to the numerous difficulties that an injured person and their loved ones may face it is imperative that they get the best personal injury lawyer in Toronto to see them through this difficult time and to handle their claim. 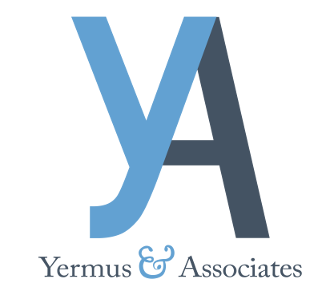 The legal team of Yermus & Associates is dedicated to representing personal injury cases, and since accidents can happen to anyone, our team serves a large and diverse crowd. Our results have helped distinguish us from the competition. Servicing the Greater Toronto Area, our goal is to ensure simple solutions to the problems you face after an accident. One such courtesy we extend to you is the initial consultation with you is free. There also will not be any charges for legal fees until you receive compensation. This will allow you to maximize your resources while you are on the road to recovery. Utilizing the relationships we have with a wide variety of medical and health care specialists, we will take all of the necessary steps to ensure that we maximize the value of your claim. Contact the best and get the best! If you want the Best Personal Injury Lawyer in Toronto assisting you with your claim then contact the lawyers at Yermus & Associates to ensure that you are able to maximize your compensation and that your claim will be handled both competently and with care. Dial 416-229- 4878 (HURT) and let us help you obtain the compensation you rightfully deserve.